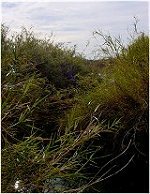 The Yuma Main Drain has hosted a Thick-billed Kingbird from 2002-2005. It usually shows up at the end of January and leaves at the end of March. 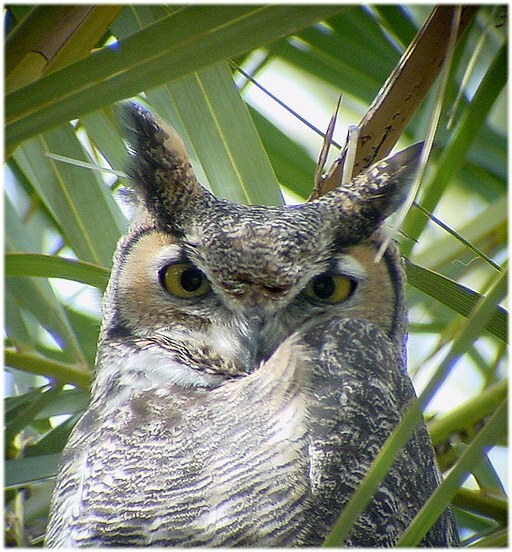 This area is also good for Eurasian Collared-Doves, Osprey, White-tailed Kite, all the Yuma-area waders, sparrows, and shorebirds. Bird life here is sometimes a factor of water levels in the drain--when it's high expect Cinnamon Teal & wintering waterfow, when it's low expect more waders and shorebirds. 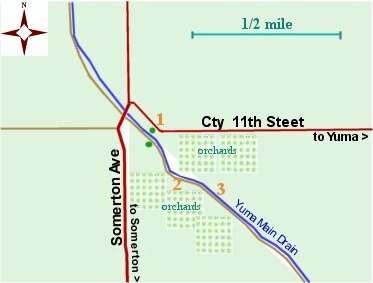 Access the Yuma Main Drain by driving to the intersection of County 11th Str and Somerton Ave, turning south, crossing the Drain, and parking on the dirt road on the south side of the Drain. 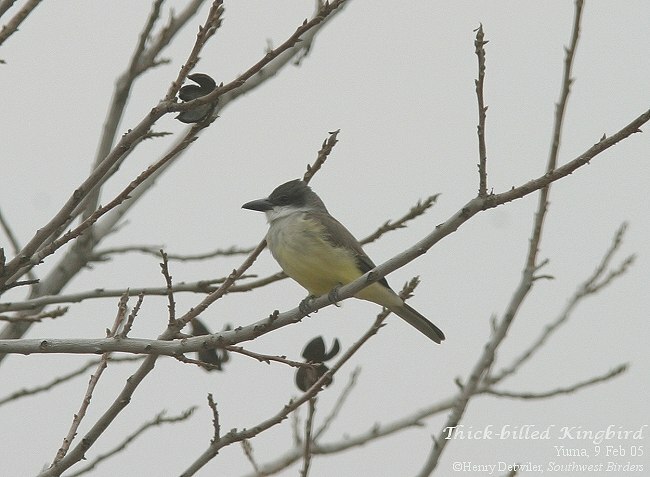 1 ) The Thick-billed Kingbird moves around quite a bit, but makes lots of noise and is pretty reliable at sunset. However, we've seen it all times of the day. - Walk to the south side of Cty 11th Str and face south. To your right you'll see two large cottonwoods on the other side of a small lateral (canal). We think the kingbird roosts in there for the night. To the left of the cottonwoods, a telephone or electric wire crosses the lateral. The kingbird often flycatches from this wire. In front of the stucco-finished house to your left, look in the pecan tree. 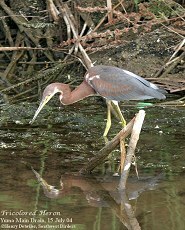 Sometimes the bird flycatches from there. But please DO NOT walk in their yard or property. 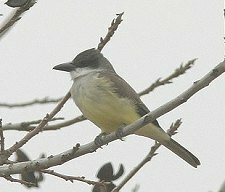 And as you look south, the kingbird may be on the very large cottonwood across the Yuma Main Drain (a big ditch). 2 ) A White-tailed Kite has been hanging out in a lone bush/tree in an alfalfa field nestled among the orchards. 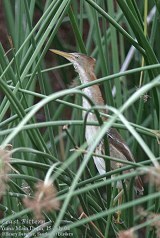 In all the bushes around here check for Abert's Towhees and various sparrows (mostly Lark & Savannah). During migration expect to find the usual complement of warbler, flycatchers, and other passerines in the fields and trees.